As a Long Island towing company, Elite Towing & Transport, Inc. offers many different tow truck services. One of the most common problems we come across is people not knowing what type of “drive” their car has, for example, whether their car is a four-wheel drive, all-wheel drive, front wheel drive, rear wheel drive, etc. 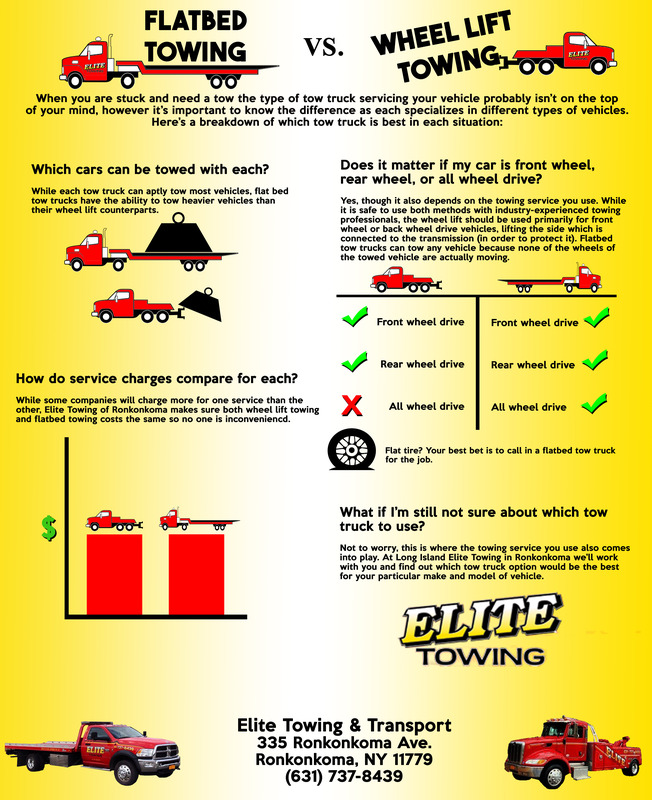 This piece of information is important for us to know because it helps us to determine what kind of tow truck we would need to send out to your location; a wheel lifts tow truck or a flatbed tow truck. Wheel lift towing is perfect for light duty towing. If your car has front or rear wheel drive, then a wheel lift tow truck can tow your car. We avoid damaging your car by placing brackets onto the wheels, which are then secured by steel pins. This type of towing is ideal if you plan on towing it to a location that is relatively close in distance. Flatbed towing is ideal for cars that have all-wheel drive or four-wheel drive. It’s also used if your car is severely damaged or for heavy-duty towing. An electric cable winch secures your car onto the flatbed and is one of the safest ways to transport your car over long distances. If you aren’t sure what kind of drive your car has, there is no need to panic. 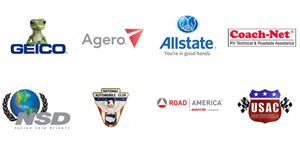 We are known for having one of the largest fleets of tow trucks on Long Island. We will send the appropriate vehicle to get you out of your jam and tow your car to whatever destination you choose. We are open 24 hours a day 7 days a week! Don’t hesitate to contact us by calling (631) 737-8439 first! With over 20 years of experience servicing Long Island, we are known for providing professional and prompt service! All of our tow truck drivers are licensed and insured as well making Elite Towing & Transport Inc. your best solution for car towing services. If the image does not load, please click here to view in a separate window.